Surprise Friday Betwixt the Books Discuss! content. A YouTube channel called Better Than Food Book Reviews posted a video a few days ago titled “Nobody Wants to Read Your S**t,” and we have some thoughts and feelings. Michaela and I really missed having these smart chats with you guys, and we’re pumped to talk about advertising, authenticity on YouTube, and unsolicited reviews. Enjoy! Michaela and I are back with more booktube videos for you! It’s a few more book tags as we get into the swing of things – this one about Unpopular Opinions! Thanks to Kat from Cuddlebuggery for showing me this awesome tag. This is probably the most emotional and ranty Michaela and I have ever gotten together. It’s a good time! As the pair to this video, Michaela is posting our Inside Out Tag video on her blog, so don’t miss that! Quick message from Michaela: Last week we had issues with audio, this week we have issues with the editor. I finished editing these videos and my editor wouldn’t let me export the edits, so we have this footage for you raw and unfiltered. I hope the awkward pauses weren’t too awkward for you, and we didn’t ramble too much. Some day I will get this filming and editing down to a T I swear. Video: The Booktube Newbie Tag! Remember when I promised that Michaela from The Pied Piper Calls (and head Bibliomancer) would be doing booktube videos with me? HERE IS PROOF. We finally got around to making our first round of videos, which are both tags to get us into the groove. You can check out our foray into the Bookish Beginnings Tag on Michaela’s blog, and then scroll down to watch the Booktube Newbie Tag entry here. We apologize for the audio quality! We attempted to go with a certain mic for this video and it went all kinds of wonky, but we’ll have this fixed next time around. Anyways! Come see why we’ve started this channel, get to know us and watch us laugh at each other! Finally, the secret is out! 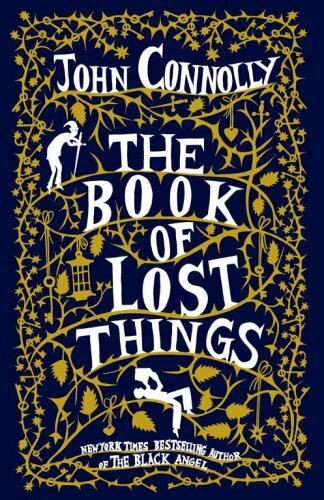 I am one of four members of the new Google+ Hangout book club “Bibliomancy for Beginners.” This week, our book was John Connolly’s The Book of Lost Things. Below you’ll find my review, and after that the YouTube video of our hangout. Next week we’ll be doing The Innocent Mage by Karen Miller, and you should totally come hang with us! I’ll announce when the next chat is right here on the blog. This book was not something I’d usually read, but thus is the purpose of our book club. I thought the blurb was interesting, but was a little unsure of what would happen from there. What I found was a pleasant surprise. Twelve-year-old David is fairly believably written for his age, despite the fact that this book isn’t meant for middle grade or ya readers. His relationship with his mother and his reaction to her death tore at my heart. When his father remarries, to a woman with whom he fights all the time, and David gets a new step-brother, the way he deals with it never comes across as trite or overblown, as is sometimes the case with the way younger characters are written. I’m still not quite sure how David ends up in what I’ll call “fairy tale land” for lack of a better phrase. I honestly can’t remember if it has a name in the book. Anyways, all of the sudden David is popping out a tree knot in a forest and there’s human-wolf hybrids after him. Thank goodness there’s the Woodsman there to save him. The villain of the story, the Crooked Man, hides the tree that has the portal in it from David, however, so he can’t go back, and the Woodsman says that only the dying king of the land can help him get back home now, so they set off on a quest to find the king and get David home. For a while, it really did seem like the plot was relying on the questing motif way too much. David was on a journey and obstacles popped up around it, but he never really deviated from his goal. Each obstacle was present as unrelated to the other, so at times they felt quite disconnected and in some places unnecessary y. I will say, though, that of all these the Communist seven dwarfs and the fat, mean Snow White were the best part–of the quest and of the entire book. I don’t want to spoil anything, but seriously guys. Just mull that over. Fat and mean Snow White and the Communist Seven Dwarfs. When David finally reaches the castle and finds the king, however, things really start to get rolling. All of the questions are answered, and more broader ones that make you think are asked. I didn’t think that this was going to tug at my heart strings as much as it did. In the end, I just wanted to hug David and hug the king and … basically hug everyone but the Crooked Man, who I wanted to stab repeatedly for putting the kid through everything. This is a stand alone, so the end wrapped everything up neatly–some might say too much so, but I don’t agree. Usually I like messy endings myself, but it was the epilogue that really did me in so no complaints there. I’d really recommend this one if you’re looking for a fairy tale that isn’t for children. This really isn’t for people the age of the protagonist, trust me. Its themes and its messages ring much truer to the adult ear, and the prose is meant for that. It was a great bridge for me between the children’s stories I love and the adult novels I should really read more of.